The FASTPATCH EJC product line provides you the ability to repair concrete expansion joints in everything from airport runways and highways to parking decks, bridge decks, roofing and sidewalks. EJC-25 is the perfect product for all joints with an engineered joint movement of 25%. EJC-NS is a non-sag formula that allows for vertical and sloped application. EJC-50 is best utilized for the Joints that have been engineered for a 50% movement, such as bridges and airports. EJC-100 Passes Hockman Class 100/50 Cycling (ASTM C719) and is highly elastic, moving with the joint while remaining flexible at freezing temperaturesa and with no loss of adhesion. FASTPATCH EJC-100 is a flexible, two component, rapid setting, polyurethane-based joint sealant. EJC-100 is an ASTM C920 Type M, Grade P, Class 100/50 expansion joint compound with excellent elongation and cure. This product is engineered for use in concrete expansion joints, airport runways, highways, roads, parking decks, bridge joints, roofing, sidewalks and anywhere there is a very high degree of movement expected. 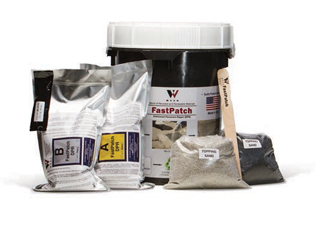 FASTPATCH EJC-50 is a two component 100% solids joint filler designed for use in concrete expansion joints. EJC-50 is a Class 50, Type M material. It is a very flexible, high elongation, solvent-free polyurethane. This product is perfect for use on concrete roadways, airports, retail and warehouse floors, bridge joints and anywhere there is a high degree of movement expected. FASTPATCH EJC-25 is a highly flexible, two component, rapid setting, polyurea-based compound for joint filing. 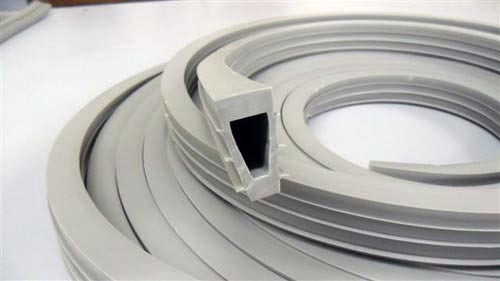 EJC-25 is a class-25 expansion joint compound and has over 900% elongation. EJC-25 is ideal for use on airport runways, highways, parking decks, bridge decks, roofing and sidewalks. This product also features quick set time, high elasticity, is self-leveling and is flexible at freezing temperatures. FASTPATCH EJC-NS (Non-Sag) - is a non-sag, highly flexible, two-component, rapid setting, polyurethane-based compound for joint filling. EJC-NS can be applied vertically or on slopes. EJC-NS passes Class-12.5 Hockman testing for expansion joint compounds. Use when the damage is overhead or vertical, such as ceilings, walls or pillars. FASTPATCH CJF-CC is a two-component, selfleveling, 100% solids polyurea control joint filler designed to protect joints in industrial concrete floors subject to hard wheels and heavy loads. POLYQuik CJF provides excellent resistance to spalling, abrasion, chemical attack and corrosion. It is also ideal for filling random cracks. FAMOCRETE is a rigid, sag resistant polyurethane that has been specifically designed for the repair of broken or spalled concrete. It is extremely easy to apply and is supplied in a ready-to-use universal cartridge. FamoCrete's non-sag formula makes it ideal for repairing concrete that is overhead or vertical, like a pillar or a wall. One cartridge provides enough product to repair a little more than 14 linear feet and has a shelf life of more than one year when stored properly.